Stir up excitement in Dr. Beaker’s Laboratory! Flip a challenge card and race your opponents to match the formula. 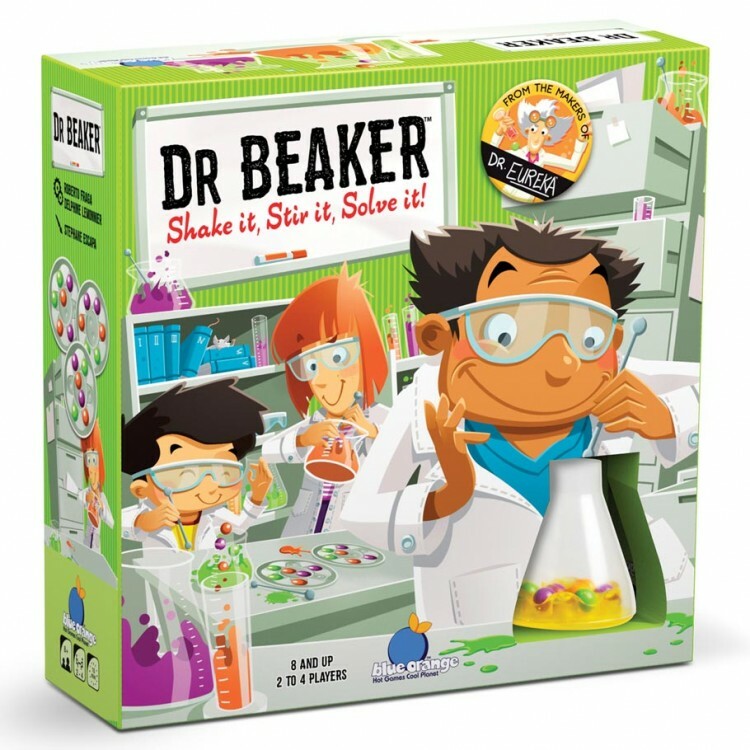 Using logic and your stirring rod, move the molecules into the right spots. 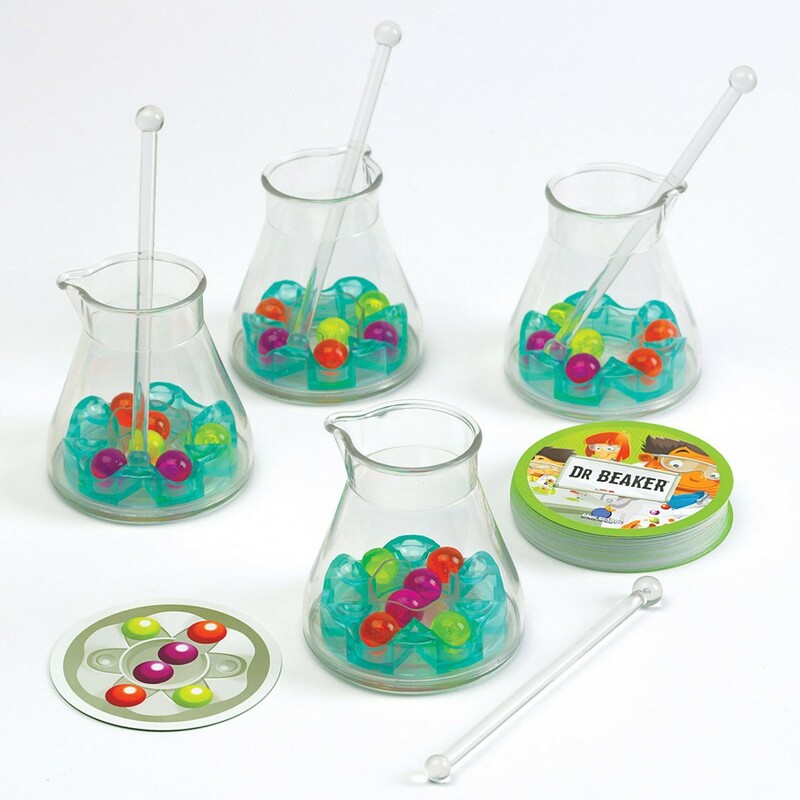 Think ahead - the special rotating platform at the bottom of your beaker only allows them to move one-by-one. Unique game pieces add to the fun in this brainteasing logic race!